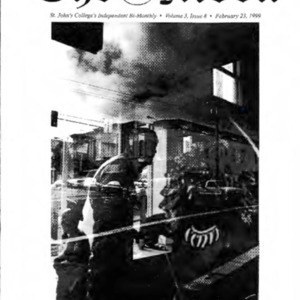 Volume 3, Issue 5. 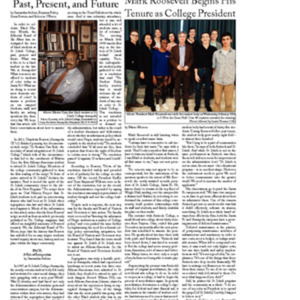 St. John's College's Independent Bi-Monthly. 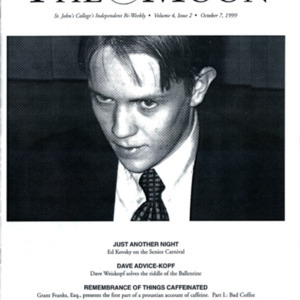 Volume 3, Issue 6. 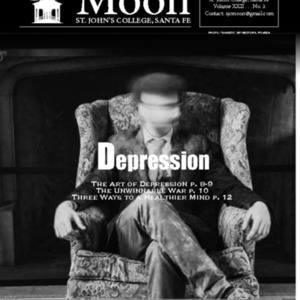 St. John's College's Independent Bi-Monthly. 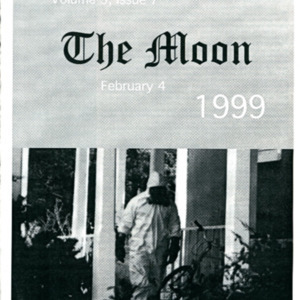 Volume 3, Issue 8. 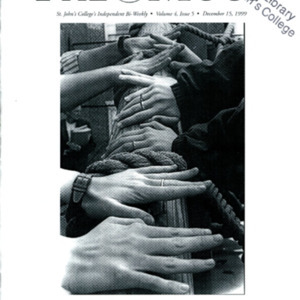 St. John's College's Independent Bi-Monthly. 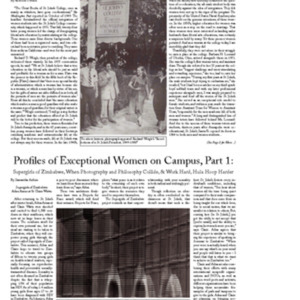 Volume 3, Issue 9. 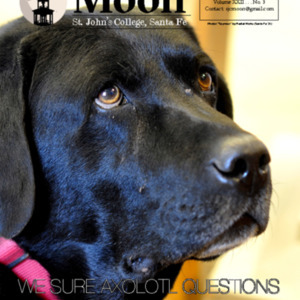 St. John's College's Independent Bi-Monthly. Volume 3, Issue 10. 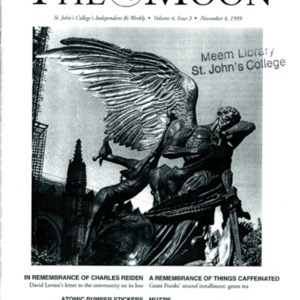 St. John's College's Independent Bi-Monthly. Volume 3, Issue 11. 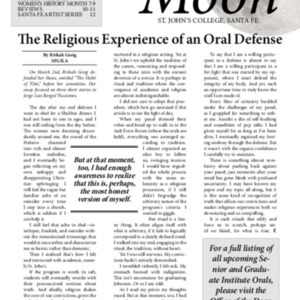 St. John's College's Independent Bi-Monthly. 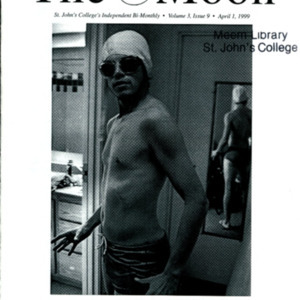 Volume 4, Issue 1. 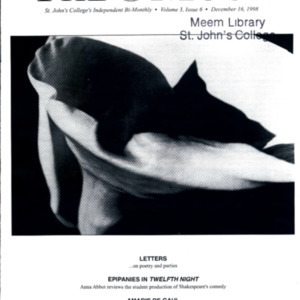 St. John's College's Independent Bi-Monthly. Volume 4, Issue 2. 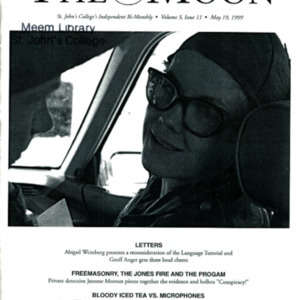 St. John's College's Independent Bi-Weekly. Volume 4, Issue 3. 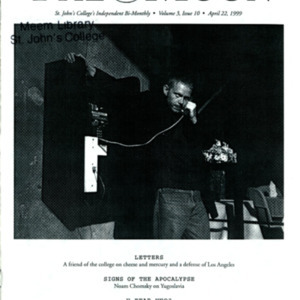 St. John's College's Independent Bi-Weekly. Volume XXII, Number 3. 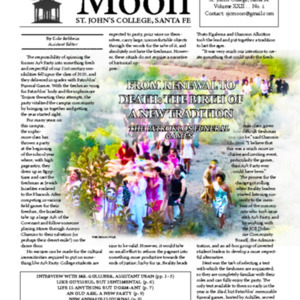 The Student Newspaper of St. John's College Santa Fe. Volume XXII, Number 2. 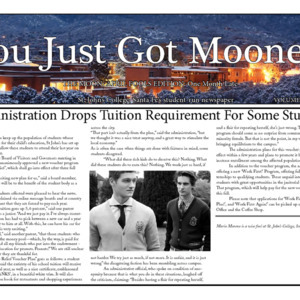 The Student Newspaper of St. John's College, Santa Fe. Volume XXII, Number 1. 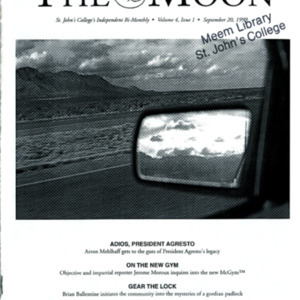 The Student Newspaper of St. John's College, Santa Fe. 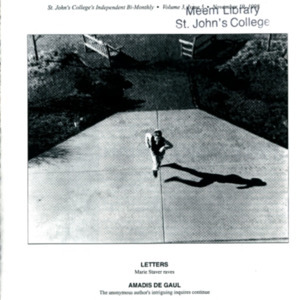 The Independent Student Publication of St. John's College, Santa Fe. Volume 20, Issue 2. Santa Fe's Student-run Newspaper. Volume 20, Issue 3. 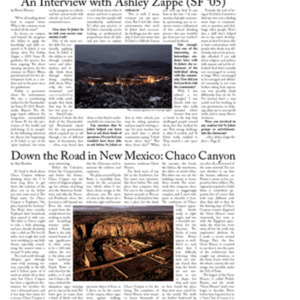 Santa Fe's Student-run Newspaper. Volume 20. Issue 4. 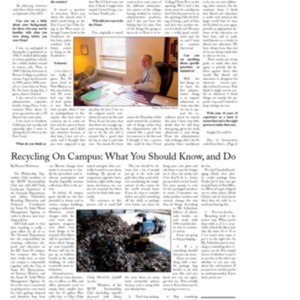 Santa Fe's Student-run Newspaper. Volume 20, Issue 5. April Fools Edition. Santa Fe's Student-run Newspaper.